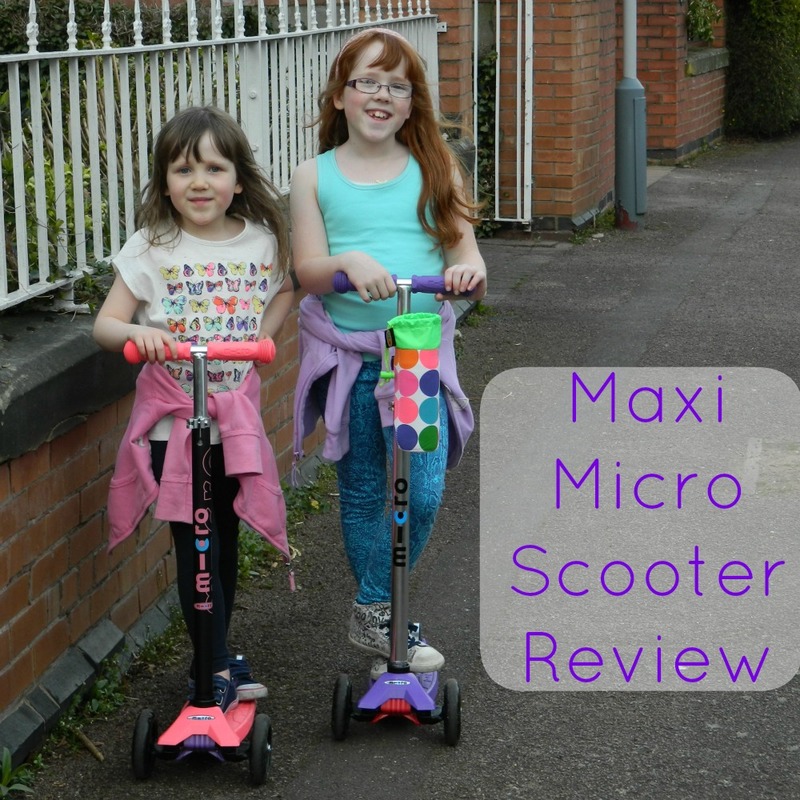 I was thrilled to be given the opportunity to review a pair of Maxi Micro Scooters recently. My girls added a little of their own design flair by styling them up a little too. 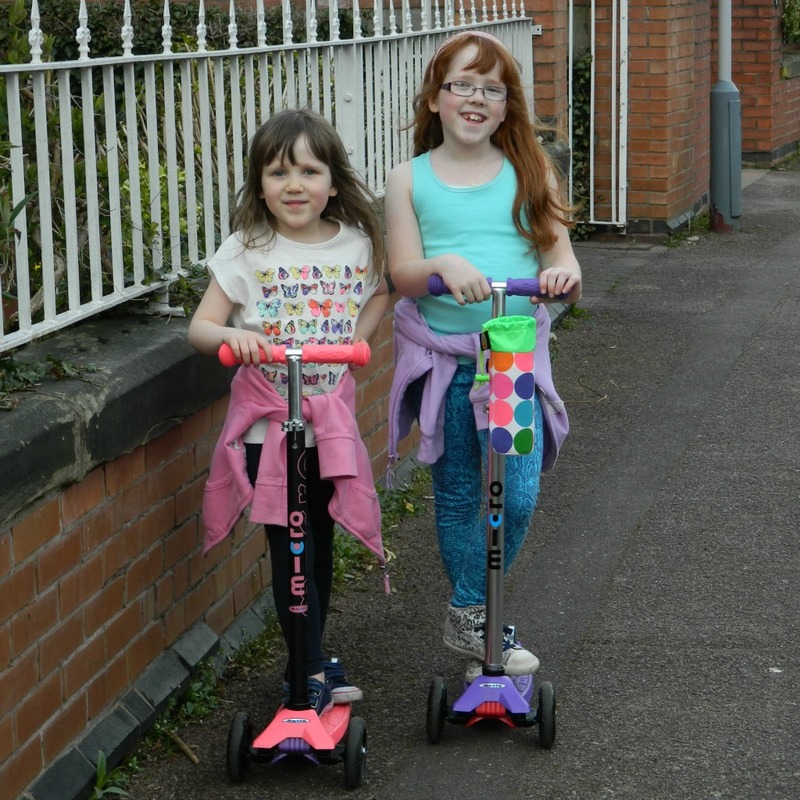 Micro Scooters have been around for a while now and they are really popular in our area but my girls have not had them before. Started over 8 years ago, the business was set up by 2 mums who wanted easy, fun ways to get their toddlers to school. One spotted a Micro Scooter out at the park one day and bought for her own son, and friends’ children and family members and before very long had started a small business selling them locally. This grew into what is now a hugely popular and successful business. So what is it that makes a Micro Scooter stand out from the crowd? More than anything else it has to be the design. The core product is a 3 wheeler, available for pre-schoolers in the shape of the Micro, and then for older children up to 12 in the shape of the Maxi. These scooters don’t work in the same way as a conventional scooter and the child has to learn to use their body weight to turn a corner; no steering action through the handles at all. This proved somewhat of a challenge to my girls! And then there’s the quality. Extremely light, they glide effortlessly across the bumpiest of pavements and are easy to carry (or wheel) back from the school run. The girls were also sent some lovely bits to help style their scooters. On the purple scooter you can see a very jazzy bottle holder which Miss E chose. Brilliant for holding the school water bottle on the school run and for sunny evening scoots when you might need to quench your thirst! Miss R, with her Limited Edition Coral Pink scooter chose her very own rucksack and lunchbag which attach perfectly to the front of the scooter. These have been the talk of the playground and she adores them! As one mum said, I won’t lose her in the dark! You can see more of the accessories in the video. Overall I’m incredibly impressed. The quality and style is spot on, and many local parents have commented on the scooters and given me their own feedback. Many have lasted for years and the parents wouldn’t choose any other brand. The price can be somewhat of a shock if you’re not already aware but I’ve come to realise that quality and design is worth paying for, particularly when you’ve got an item like a scooter that can take a real bashing. 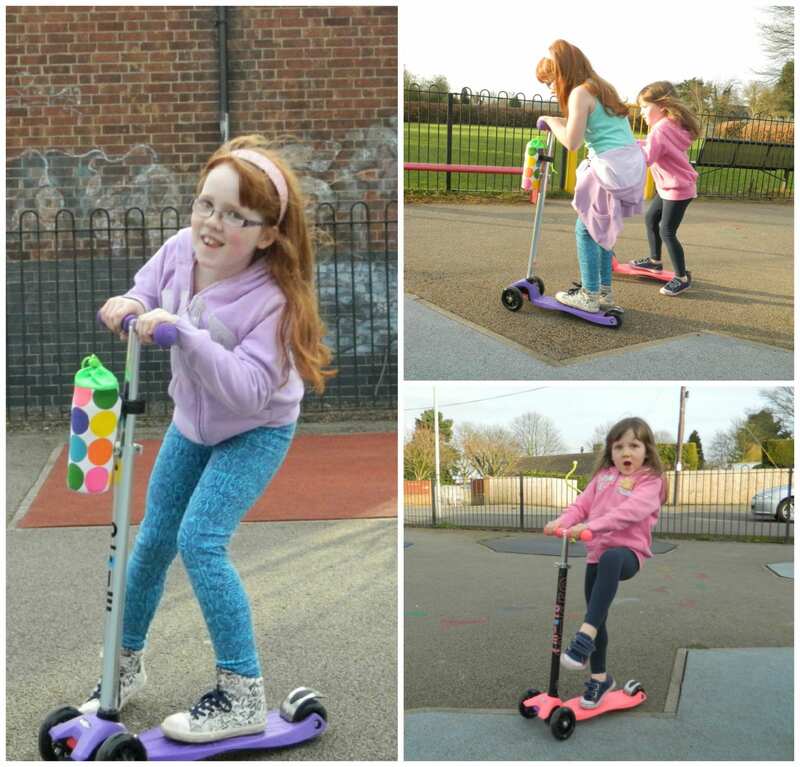 Thank you to Micro Scooters for sending the girls such fun, fabulous items to review. The comments and opinions are genuine and honest and in no way biased. A super review I wonder if they would do the purple on ein my size! Fab photographs, and a great video too. I think you are right, for me micro scooters have everything, style but most of all quality. Thy are the best on the market in my opinion! Thank you! We’re still loving the scooters. I love that they don’t swing and hit me in the ankles when I pick them up. Such a relief! 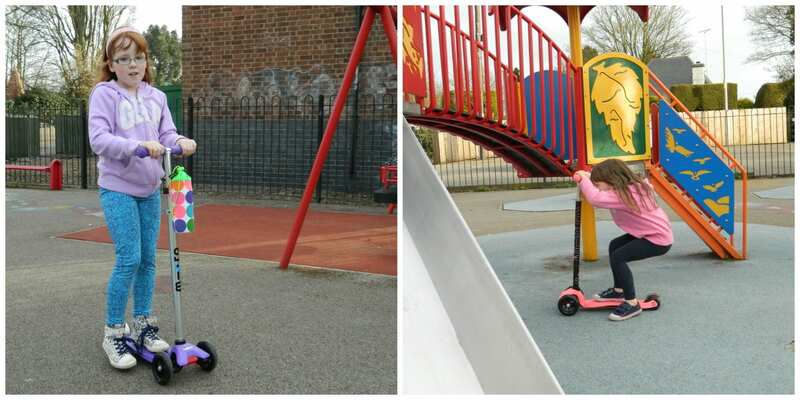 It is fantastic to see the kids enjoying their scooters so much. As a kid I had such fun with these as well as playing with my mates on their scooters as well. Great review – and I agree they are definitely a high quality product that will last as the children grow.